Since the time of ancient Greece, these springs have been famous for the beneficial healing properties of the red waters flowing from the surrounding rocks into the naturally formed bay area. With great fanfare, ‘Kalithea Spa’ was opened by the Italians in 1929. The facilities here have been visited by many tourists and scientists from all over the world since. 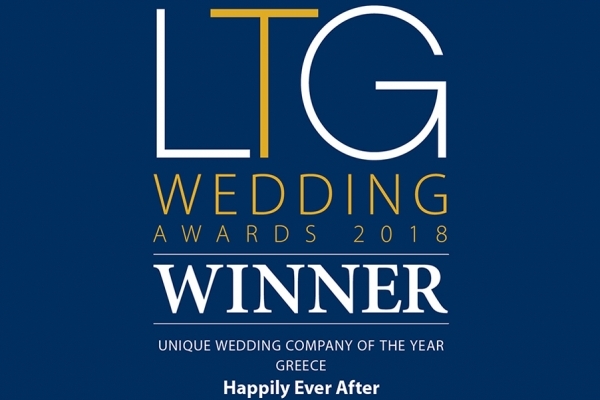 With the subsequent renovations, it is not difficult to appreciate that ‘Kalithea Spa’ is becoming a very popular, unique and stylish wedding venue. 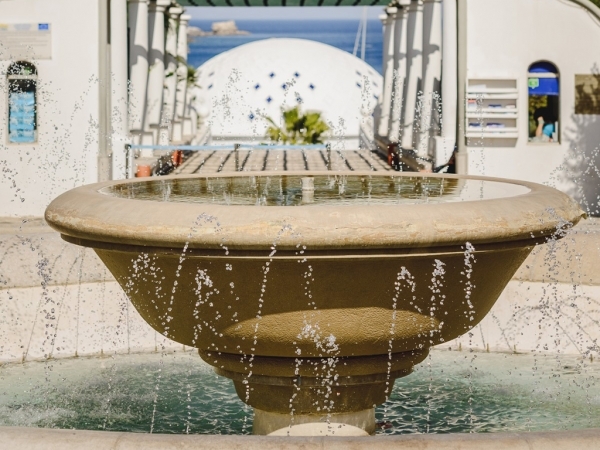 At the entrance to this beautiful venue of ‘Kalithea Spa,’ you are initially welcomed by a grand water fountain. 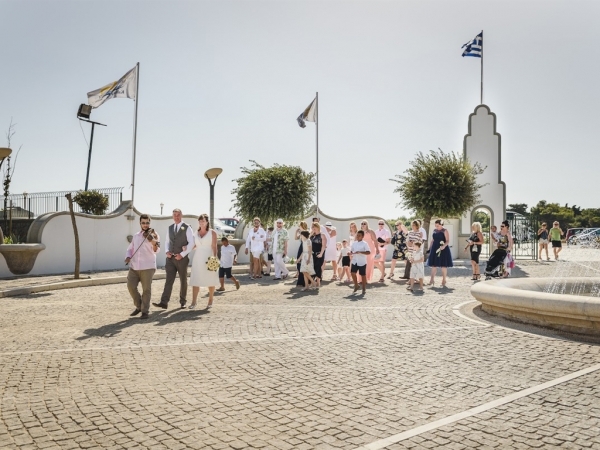 You then saunter through the fragrant gardens with its beautiful colourful array of trees, exotic plants and flowers before heading down the elegant white columned walkway to the ceremony location. 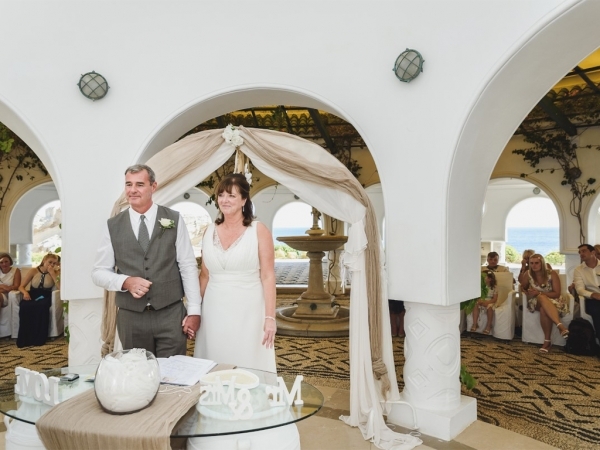 The ceremony area is designated private for your wedding service and takes place in the renovated cosmopolitan rotunda dome, surrounded by impressive white open archways, overlooking the turquoise blue sea and the dramatic rugged coastline. 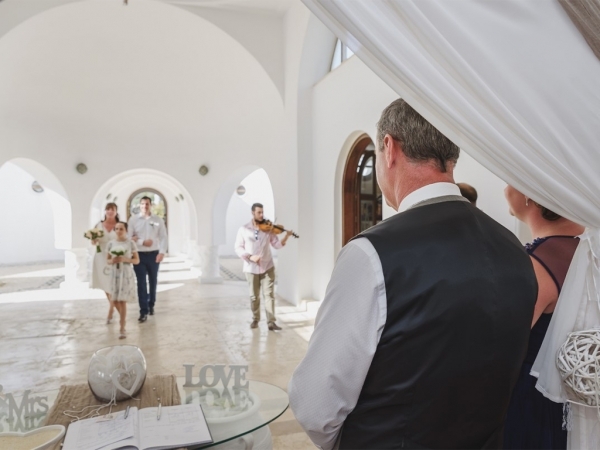 As this is one of Rhodes islands most photogenic ceremony venues, our photographer will take you all around the ‘Kalithea Spa’ grounds to take advantage of the stunning photo locations. 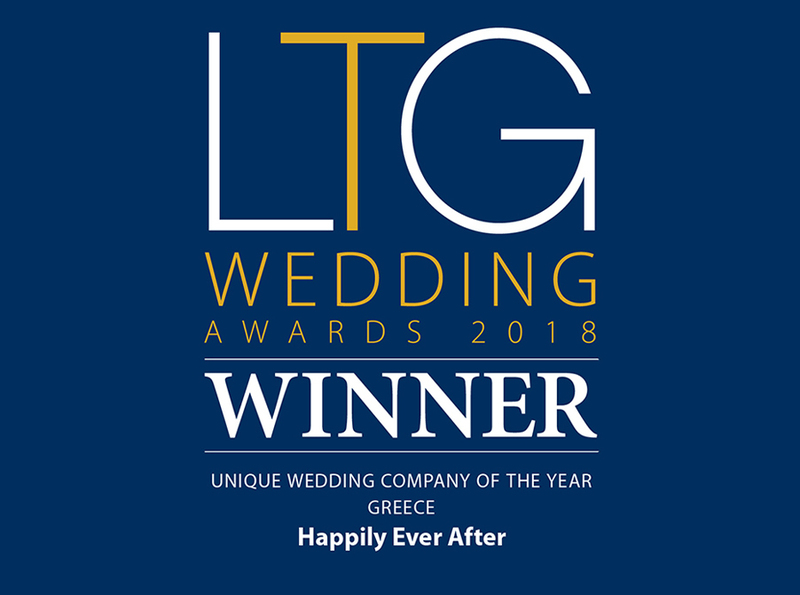 The unique combination of nature, architecture and history, offers wedding parties the opportunity of a truly special wedding venue..
‘Kalithea Spa’ has become an increasingly popular location in which to hold a wedding ceremony.